Iran has between 3,000 and 4,000 active centrifuges, Parliament Speaker Ali Larijani said Wednesday, according to the Tasnim news agency - still within the limit allowed under its troubled nuclear deal with world powers. The rare announcement of specific data on the nuclear program came days after Iran's nuclear chief said it had completed a facility to build advanced centrifuges - Tehran has said it will increase its capacity to enrich uranium if the nuclear pact collapses following Washington's withdrawal in May. Under the terms of the 2015 deal, Iran agreed to curb its nuclear program in exchange for sanctions relief. Before the deal, Iran had 20,000 centrifuges installed at Natanz and Fordow, according to the International Atomic Energy Agency (IAEA). The remaining signatories to the deal - Russia, China, Germany France and Britain - are trying to salvage the accord. 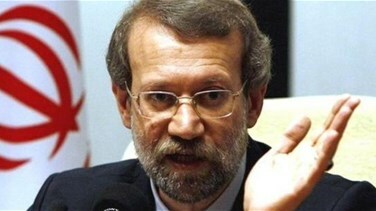 "America and Israel have a program against Iran and they scrapped a deal they requested," Larijani said, according to Tasnim. "After America withdrew, European leaders asked that Iran not give a quick reply to this action and they asked for time, which is passing now," he added. The remaining powers say the deal is the best hope of preventing Iran from developing a nuclear bomb. Iran says its atomic program is for electricity generation and other peaceful purposes.